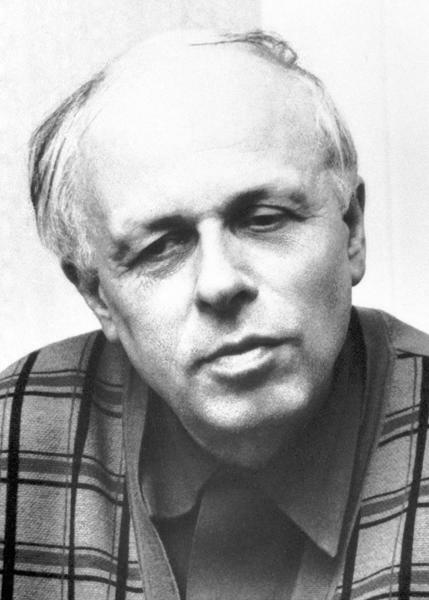 Andrei Sakharov is renowned for his influence on both sides of the nuclear weapons issue; he has been called both the "father of the Soviet hydrogen bomb" and "the conscience of mankind." A brilliant nuclear physicist in his younger years, he went on to become a prominent dissident and human rights activist. Sakharov was born in 1921in Moscow, where he also received his Ph.D. in 1945 from FIAN (the Physical Institute of the Soviet Academy of Sciences). In 1948, he was recruited by his FIAN advisor, Igor Tamm, to work on Russia's nuclear project. As he later wrote, he did not feel at the time as though he had any choice in the matter, but nonetheless he brought his enthusiasm and talent to the program, where he worked under Igor Kurchatov. Month's into the program, Sakharov designed the sloika, or "layer cake," model, subsequently earning his Doctor of Science. He continued working on the Soviet nuclear program at Sarov, working on the new design for the first Soviet "true" hydrogen bomb. The model was similar to the United States' Teller-Ulam design, but in Russia it was known as "Sakharov's Third Idea." In 1961 Sakharov also helped to develop the large-scale reproduction of this weapon, the Tsar Bomba, which is the largest bomb to ever be detonated. Despite his success in the program, Sakharov began to have misgivings about his work. He wrote, "When you see all of this yourself, something in you changes. When you see the burned birds who are withering on the scorched steppe, when you see how the shock wave blows away buildings like houses of cards... How not to start thinking of one's responsibility at this point?" Sakharov became a dissident of both the human rights abuses of the Soviet Union and nuclear weapons. His controversial writings lost him his job and caused him to be exiled between the years of 1980 and 1986. However, he was nominated for the Nobel Peace Prize in 1973 and won it in 1975, though he was not allowed to leave the USSR to receive it. In 1988, he won the International Humanist Award, and in 1989 he was elected to the All-Union Congress of People's Deputies during Mikhail Gorbachov's policies of perestroika and glasnost. He died at the age of 68 of a sudden heart attack while preparing for a Congressional speech.